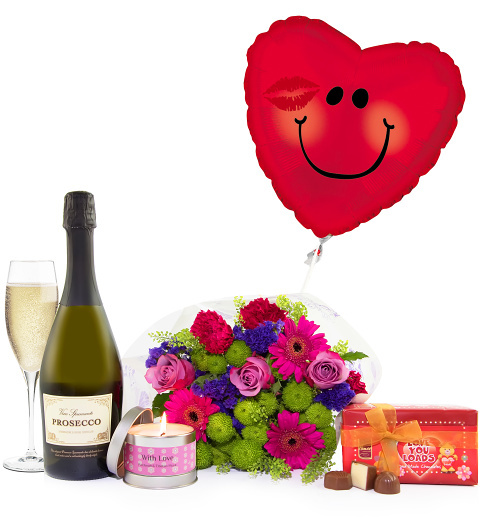 Show that somebody special just how much you care with this romantic gift! Perfect for anniversaries, Valentine's Day, or even just because! You can never spoil your partner or spouse too much! Bouquet with Germinis, Carnations, Feeling Green Blossoms, Memory Lane Roses, and Statice.